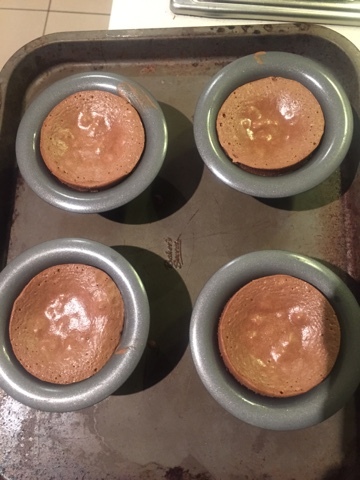 I haven't forgotten you all and I've been on adventures to Taiwan and Hong Kong which I will need to fill you in at another time but I needed to stop and write a recipe for my decadent chocolate fondants. I recently ate at Big Stone Tapas in North Sydney and I couldn't get over how amazing the chocolate fondant dessert was. It was one of the things I missed most on my travels was being able to cook and bake for my family. 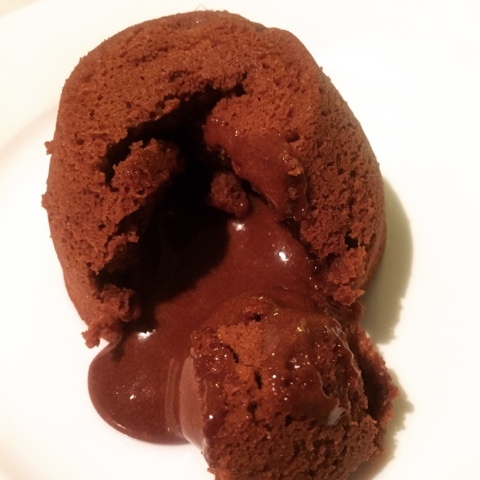 I decided to rectify this to replicate a quick and easy chocolate fondant that could be whipped up whilst we enjoyed our family dinner of spaghetti bolognese. 3. Add chocolate and butter into a microwave dish with lid and place in the microwave for High 50 seconds. The chocolate wouldn't have completely melted but stir this mixture around and it will melt due to the residue heat from the butter. 4. Add eggs and egg yolks with the sugar into a mixing bowl and whisk for 3 minutes until pale yellow in colour. 5. Add the chocolate mixture to the egg mix and fold in the 100g of flour. 6. Divide the mixture into the ramekins and place on an oven tray. 7. Bake for 8-10 mins or until the surface is cooked but still soft in the centre. 8. I like to serve mine with a dollop of yoghurt as it is a rather rich dessert.